it should be possible to deliver quality services with limited red tape for the individual. Many people with physical and/or developmental disabilities, and a growing number of older adults are expressing a strong preference for having some level of self-direction in their services (an estimated 25,000 people in IRIS and Family Care are currently electing to fully or partially self direct their services).This enthusiasm for self direction also came through loud and clear in the JFC hearings on the 2015-2017 state budget. We believe that self-direction is the way of the future in long term care. It resonates with the desire of many people to not be passive recipients of the care someone else chooses for them, but rather to be in the driver’s seat and be able to say what supports they want, when they want them, and to hire the agency or the people who will provide them. This is an effective way to ensure that people are actually getting the services they want and need, and to ensure that public dollars are not spent on unnecessary services or bureaucracy. Education and Information. 1. All LTC-eligible people in WI must be objectively informed and educated about the self directed supports (SDS) option. Full access to Self Directed Supports. All LTC-eligible people in WI must have the right to elect a fully or partially self directed supports option. No one should be excluded from SDS because of the nature or extent of their disability. Shared or supported decision-making (with family and/or friends) is a legitimate form of SDS, and some people will need training on shared/supported decision-making. Participant decision-making. SDS participants get to set their own goals. People who elect to self direct their services believe that they are the experts on their own lives, and Wisconsin’s experience with the IRIS program has proven that to be true. Reliable budget-setting. 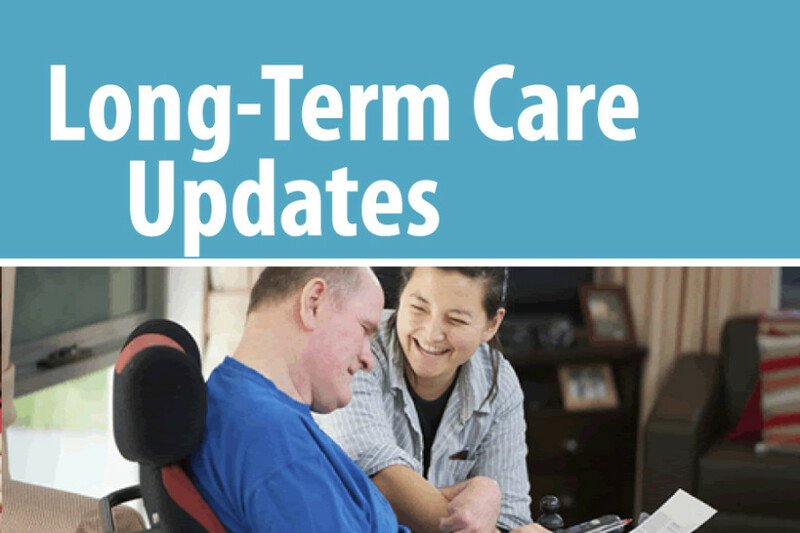 Individual budgets must be set fairly and objectively before the person-centered planning process begins, and must be based on the individual’s long term care needs and desired outcomes. The Plan should include safeguards to ensure consistency and transparency of the budget-setting process. Quality Support. SDS participants must have access to ongoing support for self direction. People’s circumstances change and some people experience crises. For many people, SDS won’t work without the support of a competent SDS consultant. Self direction of the Whole Person. In the context of the new Integrated Model, SDS must now also apply to the provision of acute and primary health care, and behavioral health. This fits with national trends toward more consumer-directed health care and the use of the recovery model in the behavioral health field. It is also important that SDS not become “medicalized”, e.g. prior authorization procedures for medical treatment should not be applied to long term services and supports in SDS. Appropriate Cost Effectiveness approaches. Promote cost effectiveness in SDS in ways that fit the values of SDS. SDS is inherently cost effective, as evidenced by the fact that IRIS participants give back 17% of their individual budget allocations. But traditional cost containment methods used in managed care (e.g. across the board provider rate cuts) can undermine the concept of SDS. Experience has shown that the most impactful cost effectiveness strategies in SDS are local and individualized. It is also important that individuals are given enough flexibility to fully capitalize on all the unique, cost effective opportunities to utilize natural supports which are inherent in SDS. Program integrity. Create mechanisms to ensure that services are actually resulting in the outcomes chosen by the person, and that comply with CMS rules. Also, utilize fraud prevention and detection mechanisms that do not add unnecessary bureaucracy to SDS. Participant rights. Include adequately funded Ombudsman services in the Plan which are independent of ADRCs, IHAs, and provider agencies. Include safeguards to prevent unnecessary institution admissions, and incentivize a safe, timely return to the community. Allow individuals placed in institutions less than 90 days to stay enrolled in SDS.